Fortunately I've not be someone who runs out of ideas for things I want to make. (Knocking on the proverbial wood presently...) There are as many techniques for developing designs as there are people with opinions to offer on them. When I was away at Haliburton School of The Arts we tackled design from many different angles. Mostly we started with nothing, and by gathering random shapes through varied means, and shifting them in different ways, we created interesting patterns that could be developed into a design for a piece of jewellery. I was pleased with the patterns I produced. They were unlike anything I'd created before. But they were all quite non-representational. This was starkly different than my usual design process. I like representational things. Even if they're distorted in the final product so that the viewer might not necessarily recognize what they're looking at, I do tend to begin with a "thing". A tree, a bird, a landscape, or a detail of one of those, is the catalyst that inspires the beginning of a piece of jewellery for me. From there, I look towards what contrasts I will create within the piece to best highlight the details. Sometimes the contrast is created with space, which draws attention then, to the detail of the "thing" I'm portraying. Other times the contrast is created with texture, inviting the viewer's eye to explore the piece to find the "thing" portrayed there. 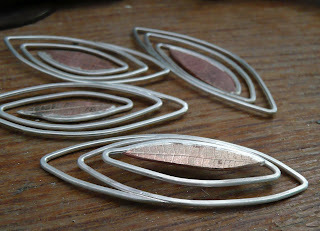 In creating a piece of jewellery I must also be cognizant of how I use my materials. The cost of what I incorporate must be considered with a mind to the future use of the scraps. This is luckily where I also find inspiration for new pieces. By spending the few extra moments necessary before I cut out a piece of metal, to consider the shape I'll be leaving behind, I am able to make adjustments that allow this "scrap" to be a more usable shape for a future project. In this way I stumble upon new design ideas that would not have originally occurred to me. The photos that accompany this post illustrate my design process nicely. They are components of the pieces I've been working on for the Annual Member's Exhibit at the Craft Council of Newfoundland & Labrador. They have been submitted to the jury, so I won't reveal too much about the final pieces here until that result is known. 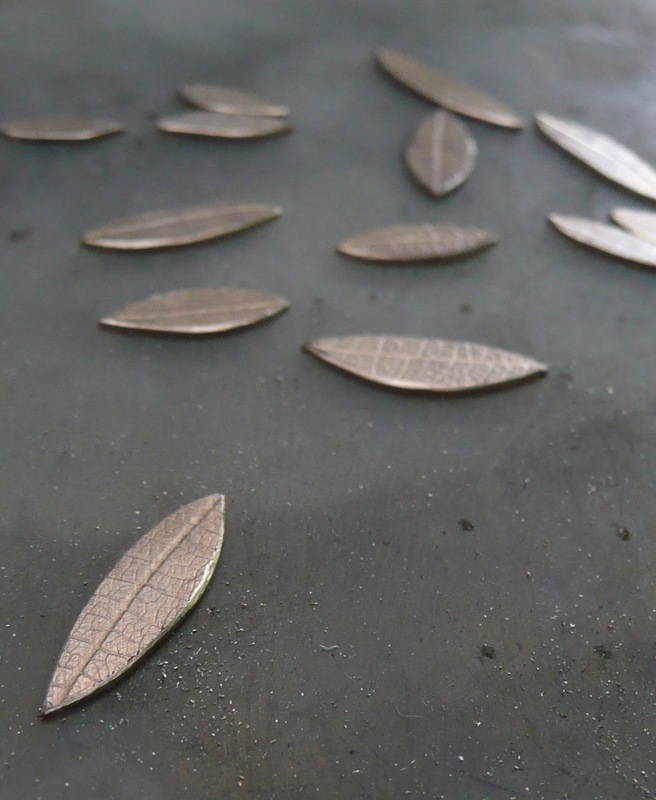 However, you can see in the first two images that my original idea was to create leaves from bronze and silver. 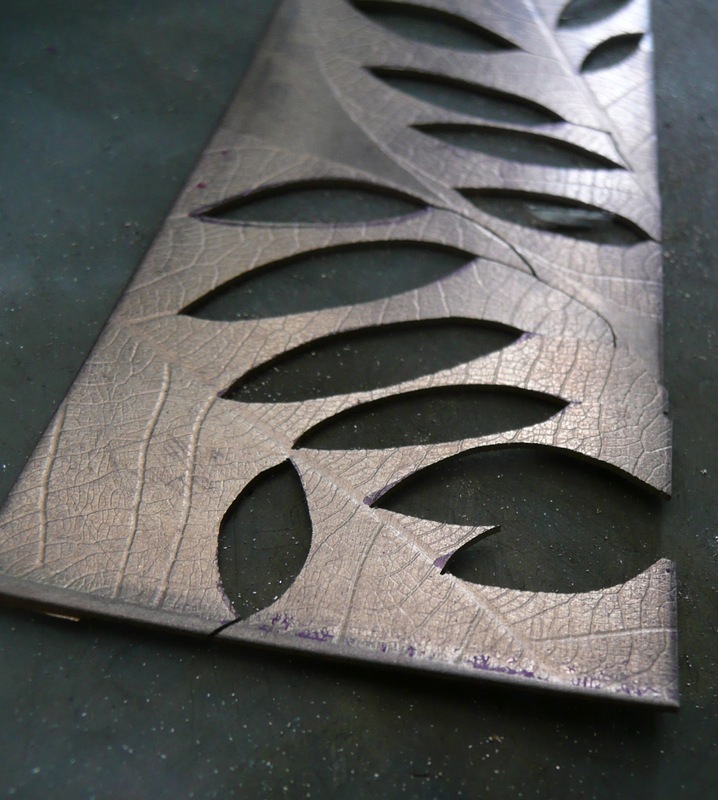 In selecting where to cut the leaves out of the bronze sheet I was able to create an interesting piece of "scrap" with the resulting negative spaces. 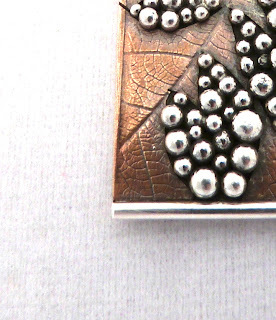 This "scrap" then lent itself to a new design into which I incorporated granulated silver. Everyone's design process is different, and thankfully there are many techniques for when you're "stuck". So far this is what has worked for me, and I hope that the well of inspiration that I draw from doesn't dry up any time soon! 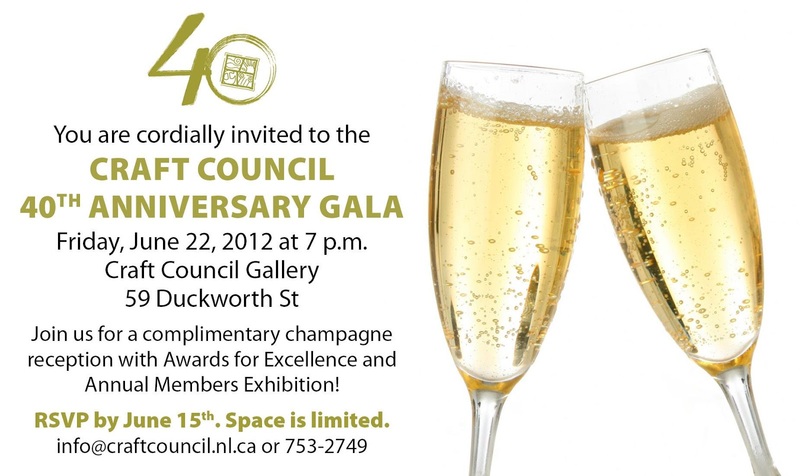 The Annual Member's Exhibit is always an inspiring glimpse into the work that the talented fine craftspeople of this province have been creating over the past year. 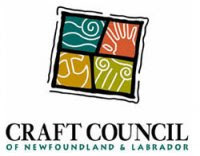 This year is also the 40th Anniversary for the Craft Council of Newfoundland & Labrador, and the Gala evening planned for the Exhibit's opening promises to be a fabulous celebration of all that is fine craft. Won't you join us? June 22, 7pm at Devon House, 59 Duckworth St. Click the link to RSVP.